A-HOTEL.com - Luxury and cheap accommodation in Blagoveshchenskaya, Russia. Prices and hotel, apartment booking in Blagoveshchenskaya and surrounding. This indicative offer was derived from the most recently booked accommodation in Blagoveshchenskaya and sort by the price, from cheapest Blagoveshchenskaya accommodation to the most expensive hotels. To select accommodation by your preferences we recommend to choose from 73 accommodation offers in Blagoveshchenskaya in total. By entering the dates of your overnight stay in Blagoveshchenskaya and using the filter tools you can sort the best possible accommodation for you. The entered dates of your stay are crucial for the most accurate offer as it derives all the online information on pricing and availability of Blagoveshchenskaya accommodation. Then you can book the selected Blagoveshchenskaya lodging (hotels, apartments etc.) immediately. Set in Blagoveshchenskaya, 23 km from Anapa, Letootel Hotel features air-conditioned rooms and free private parking. Guests can enjoy the on-site bar. Hotel Complex Marlen is situated in Blagoveshchenskaya and has a seasonal outdoor swimming pool, barbecue facilities and a garden. Boasting a 24-hour front desk, this property also provides guests with a restaurant. Offering free WiFi and garden views, Bungalo u Limana is an accommodation located in Blagoveshchenskaya. Guests staying at this holiday home have access to a fully equipped kitchen. 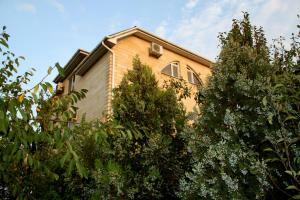 Situated in Blagoveshchenskaya, Liman Guest House has barbecue facilities, garden and terrace. All rooms boast a kitchen and a private bathroom. Hotel Villa Westa is located in Blagoveshchenskaya. Boasting a 24-hour front desk, this property also provides guests with a seasonal outdoor pool. 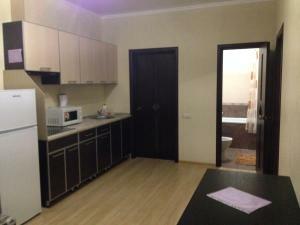 Offering a garden, Apartment on Primorskaya features accommodation in Blagoveshchenskaya. There is also a kitchenette in some of the units equipped with a microwave and fridge. Apartment on Svetlyy 8а offers barbecue facilities, as well as accommodation with free WiFi and a kitchen in Blagoveshchenskaya. Each unit is fully fitted with a washing machine, a cable flat-screen TV, a sofa bed and wardrobe. Featuring barbecue facilities, Villa Rose is set in Blagoveshchenskaya and also provides a garden and a terrace. All rooms boast a flat-screen TV with satellite channels and a private bathroom. 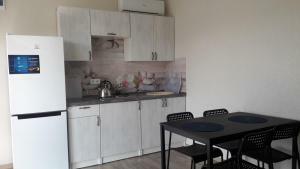 Located in Blagoveshchenskaya, 24 km from Anapa, Morrey Apartments features air-conditioned rooms and free private parking. Each room is equipped with a flat-screen TV. Set in Blagoveshchenskaya, Apartments on Lazurniy offers accommodation with a terrace or a balcony, free WiFi and flat-screen TV, as well as barbecue facilities. A kitchen with a microwave, a fridge and dining area is included in all the air-conditioned units. Set in Blagoveshchenskaya, Baza Otdiha Lazurnaya provides a bar. Boasting a shared kitchen, this property also welcomes guests with a restaurant and a children's playground. Featuring free WiFi, Dom19 Лазурный 21 is situated in Blagoveshchenskaya. Boasting a 24-hour front desk, this property also provides guests with a restaurant. 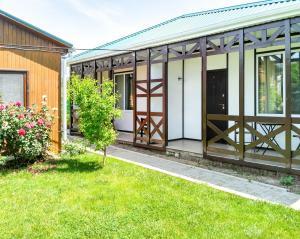 Located 800 metres from the Black Sea Coast in Blagoveshchenskaya, Uyutny Guest House offers a sauna. Free private parking is available on site. Located in Blagoveshchenskaya, BlagoHouse provides free WiFi. All rooms boast a TV with cable channels and a private bathroom. Featuring barbecue facilities, Nadezhda is situated in Blagoveshchenskaya. Guests can make use of a shared lounge. Light House provides rooms in Blagoveshchenskaya. Staff on site can arrange airport transfers. Bungalow club "Moredomik" is set in Blagoveshchenskaya and offers a seasonal outdoor swimming pool and a terrace. The air-conditioned accommodation is 38 km from Anapa. Apartment Tamanskaya is situated in Blagoveshchenskaya. It offers free WiFi and a garden. Guest House Maria features a garden and a terrace in Blagoveshchenskaya. All rooms boast a flat-screen TV with satellite channels and a private bathroom. 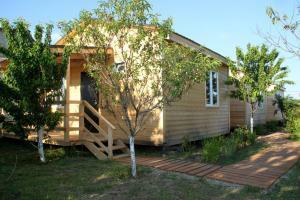 Situated in Blagoveshchenskaya, Guest House Briz offers barbecue facilities. Boasting a 24-hour front desk, this property also provides guests with a terrace.